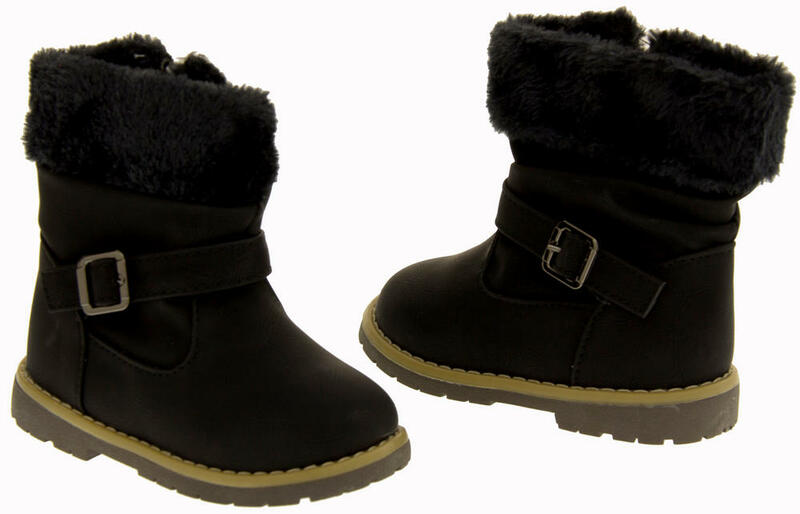 These faux soft leather ankle boots are gorgeous. The boot has a treaded sole with good grips for winter and is faux fur lined at the top of the boots to keep your little ones feet warm. 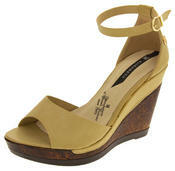 The boots are a zip fastening for quick access and secure fastening. 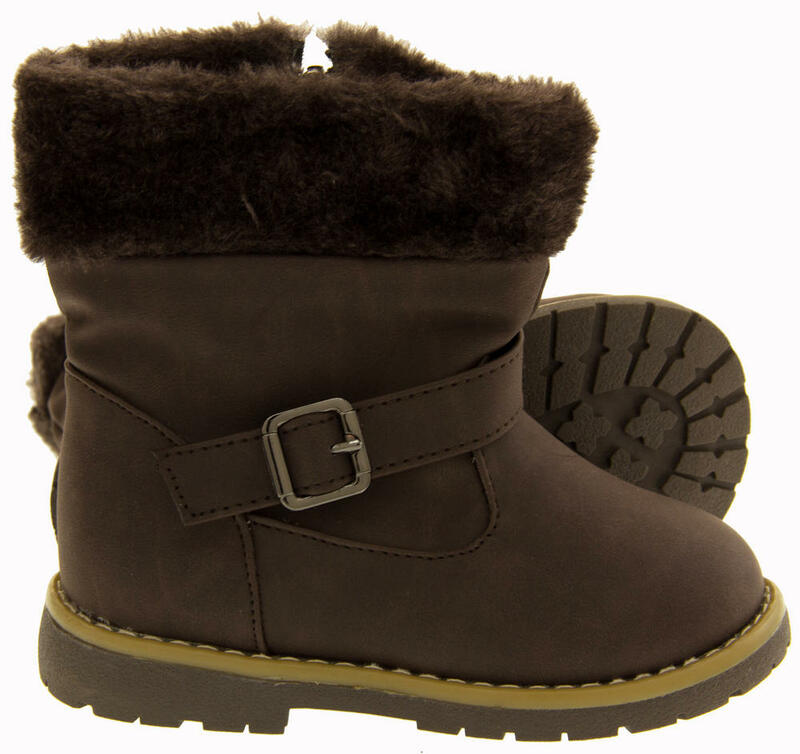 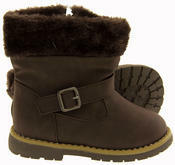 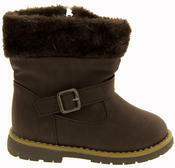 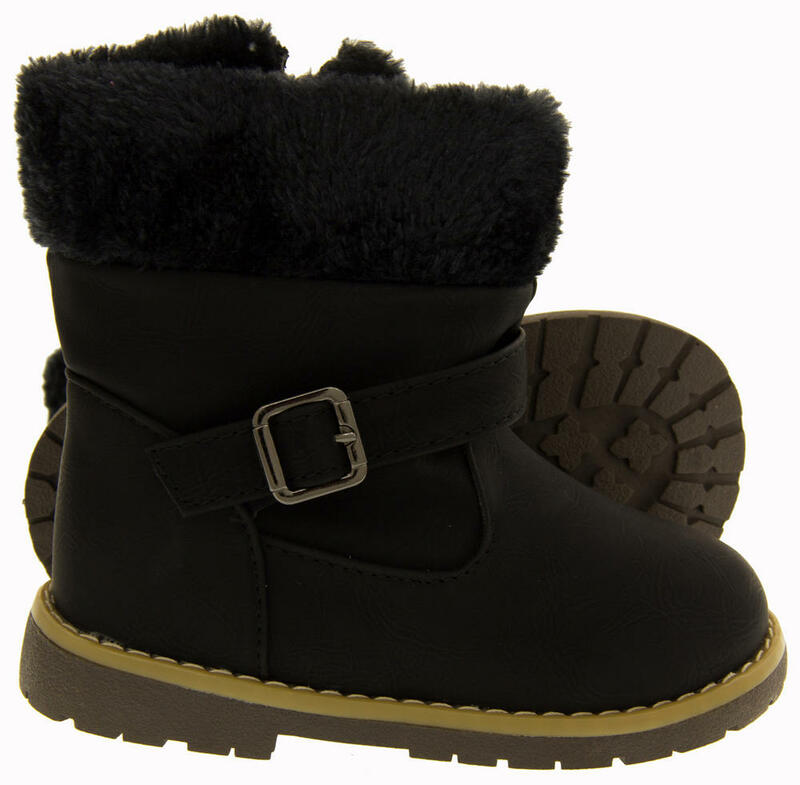 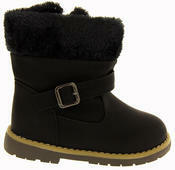 The shaft of the boots have a buckle decoration and are topped with a faux fur rim.. 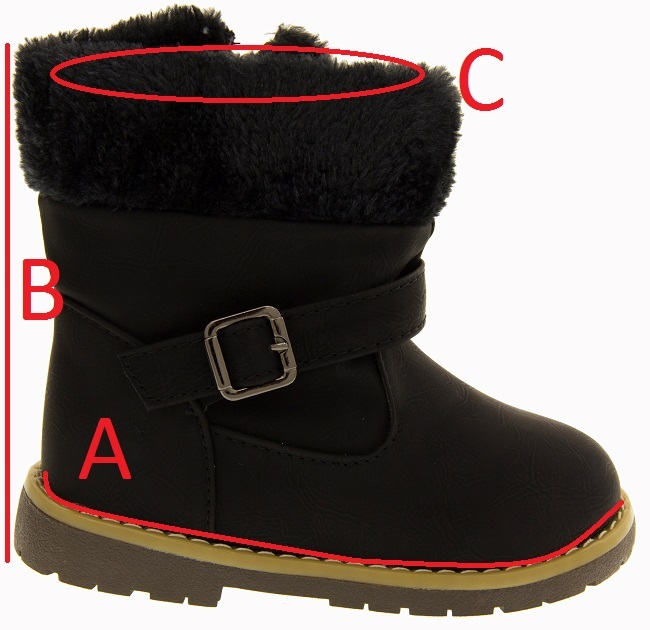 The detail and quality on these boots are unparalleled. 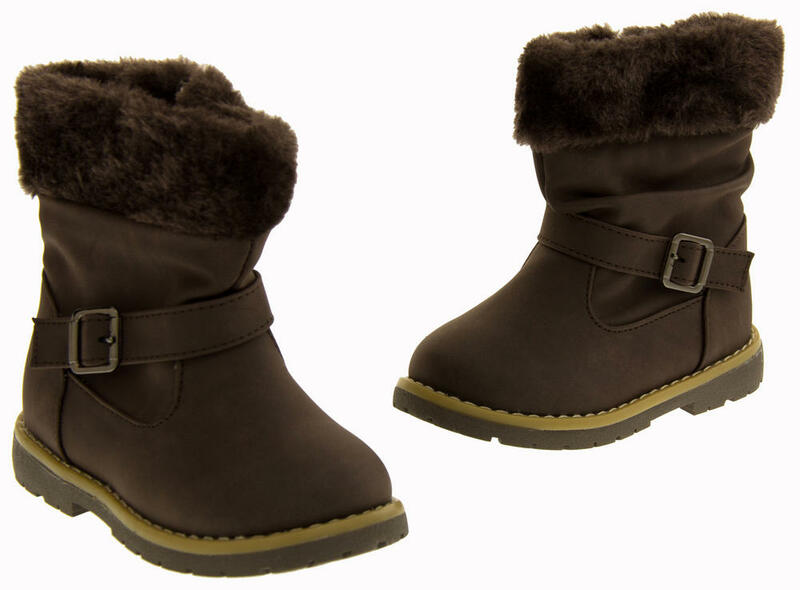 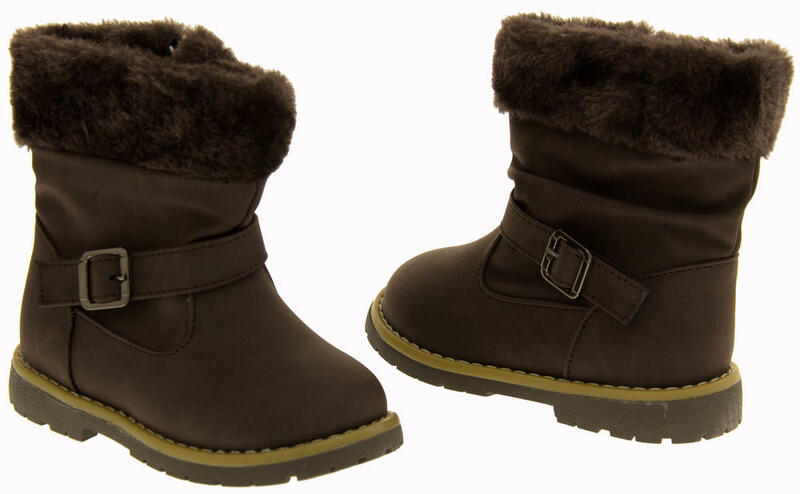 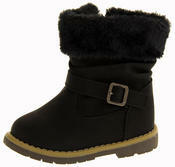 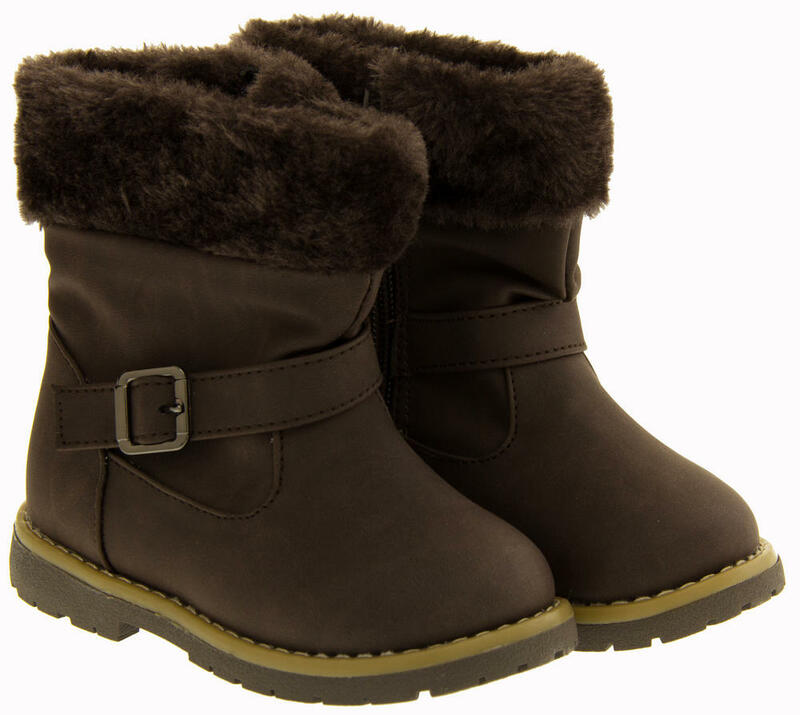 Keep your little ones toes warm and cosy and looking fabulous this winter!